Immediately close the eyes of the deceased and raise the head to 3-4 inches by putting a pillow. If required moisten the lips by putting petroleum jelly /water. Notify the Family Doctor who has been treated the deceased. 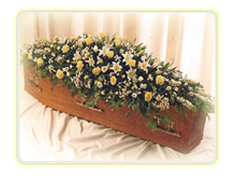 If you require any help & advice in registration and Funeral Arrangement you may contact us. If a death occurs in a Hospital the relative will be in touch with the ward nurse who will contact the Doctor who will issue a Medical Cause of Death Certificate on examination of Medical Records. The above same details are required for registration. Most Private Hospitals do not have the facilities of a Mortuary. There may be a haste by the Hospital staff to shift the body at a suitable mortuary or at the residence. If at this point you require a Hearse or an Ambulance for transportation to a suitable mortuary/residence you may contact us. It may be most distressing in cases if death has taken place far away from home. There are many practical problems such as language,Govt. regulations, local customs (delays due to Ramzan, Bank and Public holidays), etc. You may contact us if you require your loved one needs to return home as soon as possible. When the deceased has expired due to mysterious reasons. When the family wishes to have an independent inquest on how the deceased has actually died. When the family wishes to donate the body for Medical Research purposes for students. The coroner will then decide the cause of death and issue a Death Certificate. Do not hesitate to contact us if you require any help.